THE smuggling of Angolan fuel into Namibia continues unabated despite recent warnings by the Ministry of Mines and Energy. Towards the end of last year, the mines and energy ministry launched a campaign to discourage the illegal importation of Angolan fuel, saying that such fuel does not meet Namibian standards, deprives the Namibian state of the much-needed tax revenue and harms the businesses of local genuine service station owners. However, the ministry’s warning appears to have fallen on deaf ears. 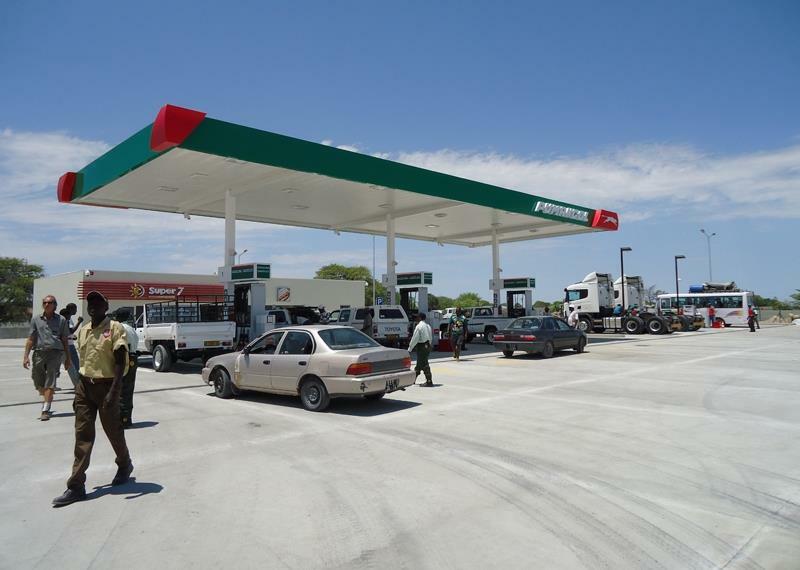 The smuggling of Angolan fuel into the northern regions of Namibia continues persistently. And the smugglers have added a new element to the way they carry out their illegal activities. While on one hand many smugglers still stream to the two filling stations at Santa Clara, the closest Angolan town to the Oshikango border, carrying a variety of containers and using illegal border crossing points, on the other hand, owners of Namibian registered vehicles simply drive their cars across the border using the designated border crossing points to fill up their vehicles and then return to Namibia with full tanks. This is not limited to private car owners only, but includes well established businesses. On 6 January an Informanté investigator observed nine trucks belonging to an Ondangwa-based business lining up at the Pumangol filling station at Santa Clara where their big tanks were filled to capacity before driving back to Namibia. The trucks were all without their respective trailers. Some members of the Namibian police are also suspected of acting as middlemen in the illegal activities at the border. One specific police constable was observed filling up two different privately-owned cars at Pumangol filling station at Santa Clara. One was a white Toyota Corolla (on 2 January) and the other a grey Toyota pick-up (on 6 January). It is suspected that police officers are used by private vehicle owners as “proxy drivers” and are most likely earning extra income for the favour. Immigration officials on both sides of the border do allow police officers of both countries to cross the border without travel documents. 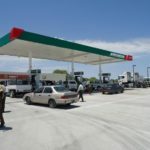 “That is unfair when police officers arrest suspected fuel smugglers but at the same time they themselves refuel their private cars and the cars of their friends at Angolan filling stations,” said Miriam, a resident of the Ompumbu informal settlement of Oshakati where two residents – Joseph Nambandi (42) and Shimbamba Joseph (27) – were arrested last year after they were allegedly found in possession of approximately 300 litres of illegally imported petrol. According to the Namibian police, more than 4,700 litres of illegal fuel were seized between 2015 and end last year. A Motor Vehicle Accident Fund official at Ongwediva said that the MVA Fund – which receives about N$0.50 for every litre of petrol/diesel sold at filling stations in Namibia – is the biggest loser in the illegal importation and sale of Angolan fuel because the parastatal has an obligation to compensate victims of all motor vehicle accidents in Namibia, regardless of whether or not the vehicle involved gets its fuel from local pumps. Fuel smuggling has been a problem for years, but it peaked last year when Namibia’s pump prices were drastically increased to about N$15 a litre. Angolan pump price per litre stands at 160 Kwanzas (about N$6 on the black market’s exchange rate).